Sunflower seed raw material by the vibrating screen, the wind sorting box after the election, into the vertical centrifugal sheller shelling, and then separated in the shell kernel separation. 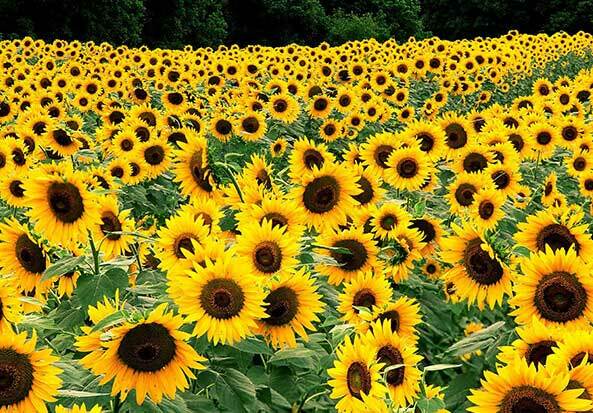 After separation, the shell content of sunflower seeds is less than 10%, and the kernel rate is less than 1%. Adjust the water to 8-9%, the temperature 60 ℃. Using vertical rolling mill to roll into the thickness of 0.5mm raw embryo, the auxiliary steaming wok and pressing steamed frying pan after steaming into the pre-pressing machine mature embryo water is 2%, the temperature is 110 ℃. The pre-squeezed oil is filtered to obtain a pre-pressed oil for refining. Pre-pressed cake for leaching, the mixed oil by evaporation, stripping to be extracted crude oil sent to refining. The sunflower seed meal obtained after the leaching of the wet meal.